Crystal Lake is a wonderful condominium community in a great location of East Lake. 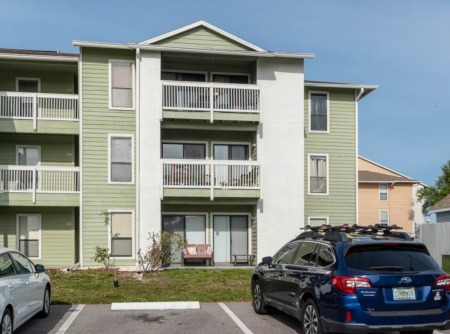 It is within walking distance to the North Pinellas YMCA and Lansbrook Golf Course, as well as close to Lake Tarpon, the East Lake Library and John Chesnut Park. You will fully enjoy the Florida outdoor lifestyle in this location of Palm Harbor, FL. Built in the mid 1980's these units range in size from 800 to 1260 square feet, and are 2 bedroom and 1 and 2 bath units. With inside utilities, spacious bedrooms and walk-in closets these condominium homes have many appealing features. Pets are allowed and flood insurance and outside maintenance is included in your low monthly maintenance fee. To preview these condo homes for yourself, take East Lake Rd to Village Center Dr. The grounds are well maintained, many units overlook the tranquil pond, and this great East Lake location can't be beat! 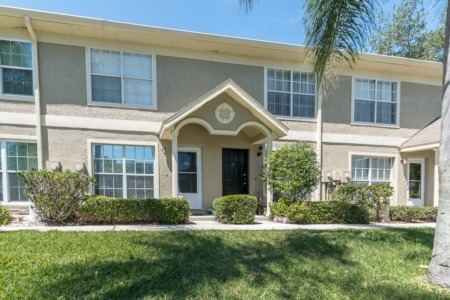 Crystal Lake is one of the most moderately priced properties in the East Lake area of Palm Harbor. Don't miss out, let's see one today! Selling your home in Crystal Lake? We will glady help simplify the selling process for you if you are looking to sell your home in Crystal Lake. At Lipply Real Estate we put our customer's needs over everything - you won't regret working with us. We are confident we can help you find the best possible sale of your home in a timely manner! Call us today or enter your information below to speak with an agent via email.